Please help us meet our parish goal of: $142,708. We met our goal in 2018… Together we can meet our new 2019 goal! The Returning God’s Gifts (RGG) Annual Appeal is a diocesan-wide effort that supports the pastoral services and ministries of the Catholic Church in the Diocese of Colorado Springs. RGG is an opportunity for all Catholics in our diocese as a united diocesan family to share in our call to be good stewards of our Church and its people. 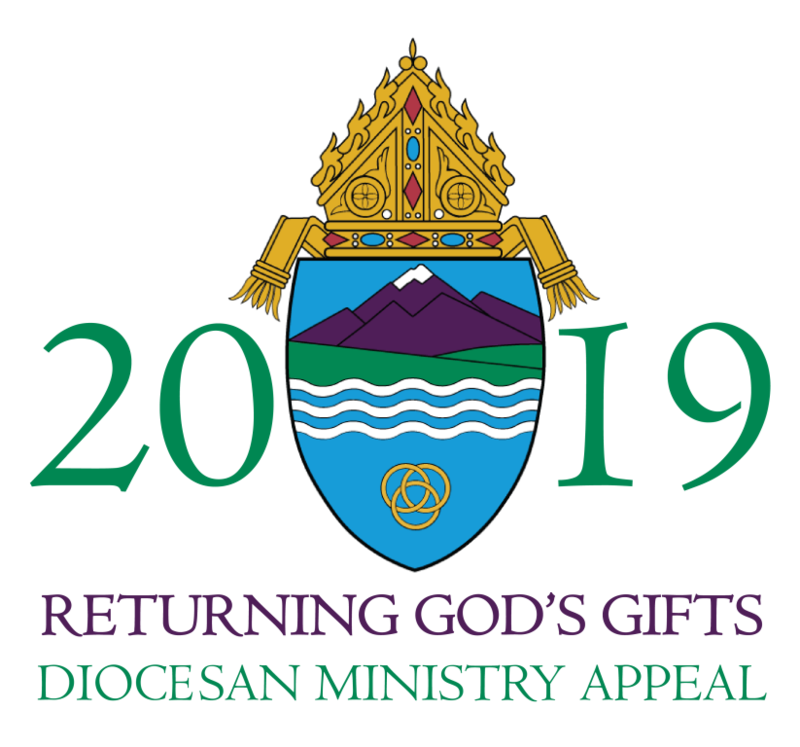 Our commitments as a Parish to the 2019 Returning God’s Gifts Annual Appeal are being offered through the Diocese of Colorado Springs. As one family in faith, we join together by supporting programs and services no parish alone can offer, such as education and formation of our diocesan seminarians. Our goal this year is to have 100 percent participation. In order to achieve this, each of you is asked to give in gratitude for the many gifts God has given to you. If you have questions about the RGG 2019 Appeal or would like to process your gift via telephone, please call Jay Barnwell, Director of Stewardship for Our Lady of the Pines at (719) 495-2351 ext 18 or email questions to stewardship@ourladyofthepines.org.